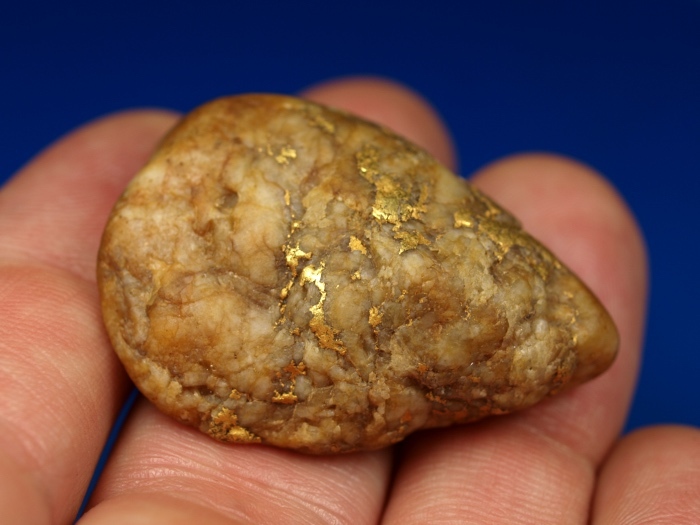 Here is a lovely specimen of gold in quartz from an interesting location. 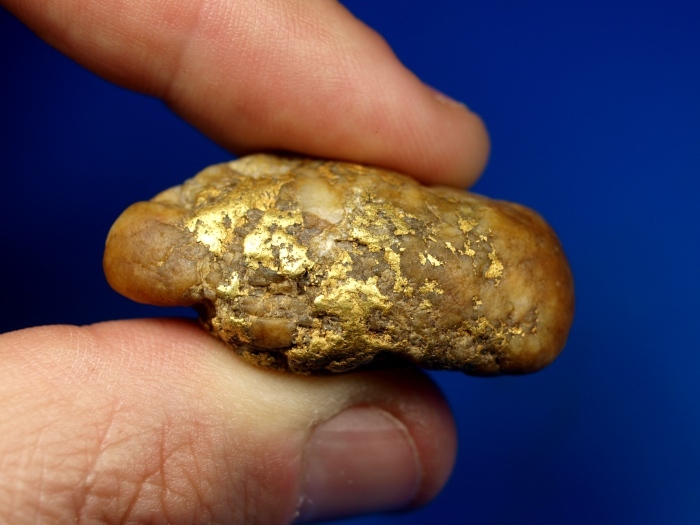 This piece was found near Elk City, one of Idaho's earliest gold rushes. 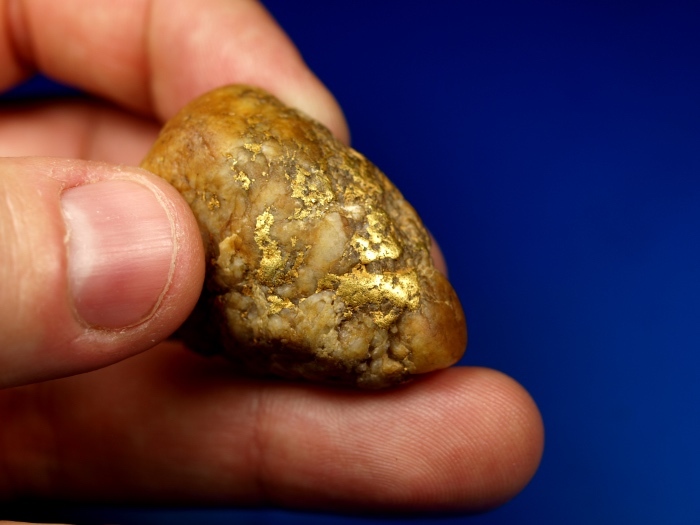 The Clearwater River is the largest gold-bearing tributary in this area, but the Red River, Crooked River, and American River were all mined heavily in this remote mining town. 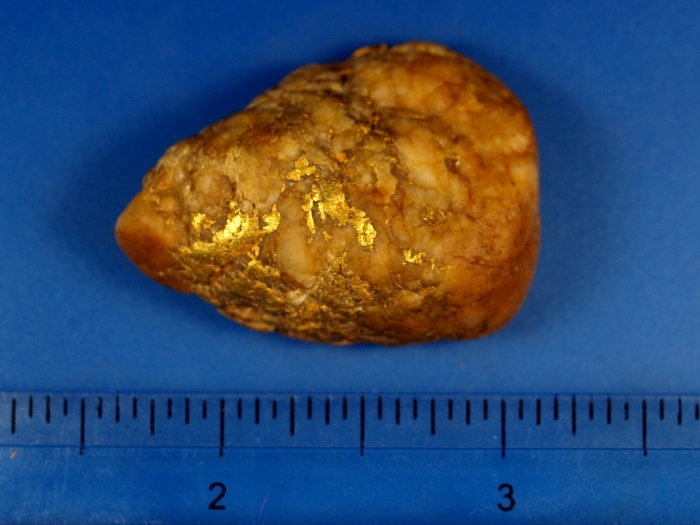 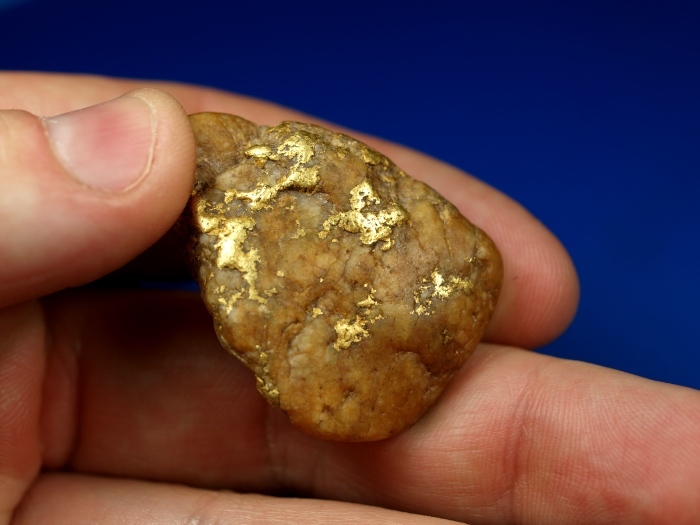 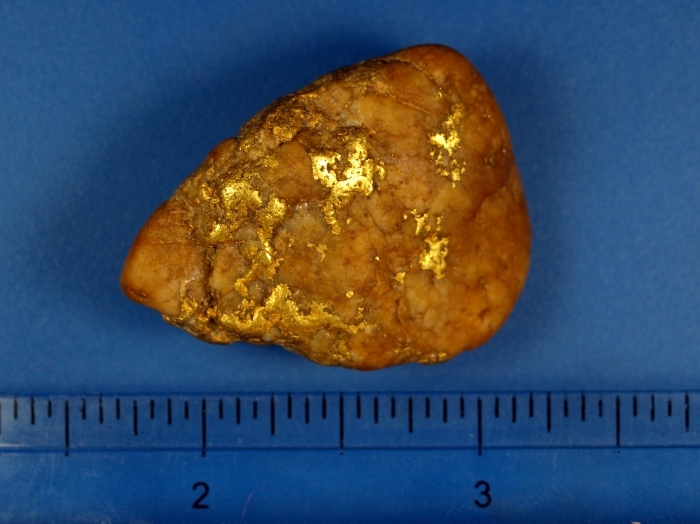 This specimen has a total weight of 33.17 grams (over 1 troy oz) and has nice water worn gold showing around all sides of the piece. 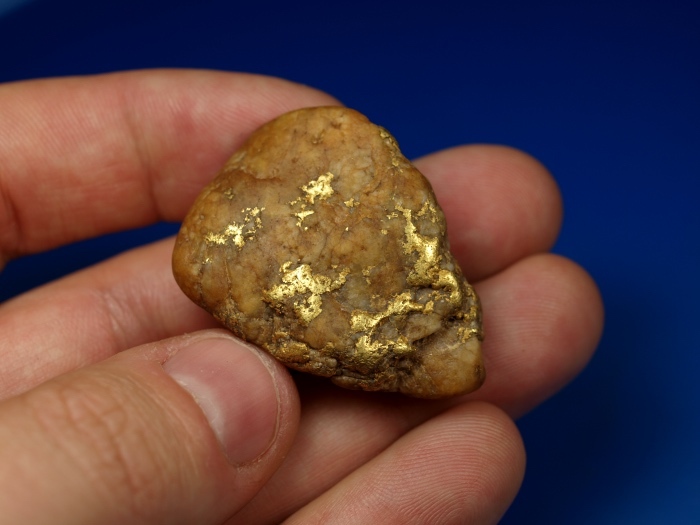 A nice paperweight specimen!